February 26 game against the Texas Rangers saw the Sox hammer them by a score of 14 – 8. Twelve runs scored over three innings. Starter Nestor Molina and reliever Brian Omogrosso both pitched two scoreless innings, with Josh Phegley getting his first home run of the season. 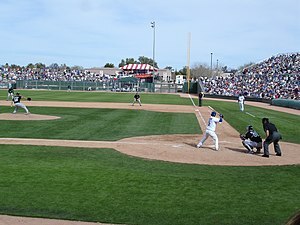 February 27th game also against the Rangers saw the White Sox improve their record to 3 – 0 – 2 with an 8 – 4 win. GM Rick Hahn was pleased with the progress of pitchers Nestor Molina and Simon Castro. They are needing to rebuild and have a great season in 2013. Just some personal thoughts here. The boys had an amazing season last year. I think in some ways just the little things started breaking down at the end of the season. Detroit was really tough and it just felt that it all came for them at just the right time. We have a good strong team this year and so far everyone is finding their way and beginning to fit together as supportive unit, a team that is strong and healthy and supportive of each other. This is one of those times living overseas is a downfall because I have to rely on the net for news, do a heap of reading to keep up with the boys. The fans from what I can see are totally amazing and in love with the black and white. I just realized this is going to be a big challenge to blog this season but I am up for it. They say to write about what you know and I love my sports, time to put on the black and white for another day. Saturday the 23 of February was against the Dodgers and that was a 9 – 0 win. Dylan Axelrod threw three scoreless innings. Alex Rios and Gordon Beckman both went 2 – 2 with the bat. Sunday the 24th of February was once again with the Dodgers and ended in a two all tie. Tuesday starts a two game series with the Texas Rangers and close out February with a game against the Milwaukee Brewers. March is full of Cactus League games before heading home to Chicago and opening day at U.S Cellular Field on April one against the Kansas city Royals. Sandy Koufax, in my book the last of the great class of players. I only know about him what I have read. His career highlights are the stuff baseball dreams are made of. He played in seven all-star games and four world series. He threw four no hitters and had his only perfect game on September 9, 1965. Yes, before you question me I know he played for the Los Angeles and they retired his number 32. It is just that gentlemen like Mr. Koufax played for the love of the game. Money was not an issue or at least it seemed like it wasn’t. Anyway, Thank You Mr.Koufax for coming out and being apart of a wonderful tradition. The pitchers and catchers have arrived and are getting back in sync with each other after the off-season and some down time. My twitter feed this week has been quiet for the most part but the pictures that I have seen so far are just amazing. The fans are turning out and full force and that is wonderful. I can see the excitement growing. I would love to be able to go to the ranch for a game. Even just see it on the computer but I don’t think I am going to have much luck there. Saw a picture of Jake Peavy the other day with the pitching coach and he was looking really good. I can’t wait to get to watch him in action and see how he is doing. The rest of the squad arrives at the office tonight USA time. Writing from Australia, I am a little ahead of everyone but I can’t wait for word from the ranch that everyone is there. Spring games will start soon and I am hoping that I can find them on the net to watch. Next best thing is my twitter feed. Don’t forget you can find the boys at the Camelback ranch on Facebook and Twitter, along with seeing the pictures on Instagram. Loving the pics guys keep them coming. Please bear with me as my information is limited right now but once the season gets going we will have heaps to chat about and photos to share. Three days to go and the Pitchers and Catchers report to the ranch, with the full squad on the 17th. Its been exciting to see more of the Camel Back Ranch tweets appearing in my news feed. (@camelbackranch on twitter) They are in Glendale, Arizona. I have seen some of the country out west and know that it is just stunning. You can also find them on instagram. At the writing of this entry there is not much to share on the player front. Mainly finishing up last-minute preseason things and getting ready to travel. I love watching baseball and even played some ball growing up. The outfield is safe because not much really goes on. The infield can be a dangerous place at times with the ball being hit or thrown all over the place, slide ins and getting spiked. Of course there are those massive slides into home plate and the dust flies leaving no clue if the ball made it or the guy sliding was even safe. How the throw from the outfield has to be pinpoint accurate to get there before the runner. I have the most respect for the pitcher and all that he goes through. I can’t even begin to imagine the stress and pressure to throw well let alone be accurate under that kind of pressure. I have always been a big fan of pitchers and I remember last year being on the edge of my seat each pitch and Philip Humber‘s perfect game. I get to wondering if the really know what is going on or they just out it out of their mind and just work. I would love to get in the mind of a pitcher and really have them talk me through the process of a game. My favorite pitcher at the Sox is Jake Peavy. Yea, he is making the bucks but he is bloody good at what he does and I would love to be able to sit with him during a game and give me a pitchers point of view, what yo do in certain situations, when the count is at a certain point how do you know what u want to throw. Also the relationship and trust you build with your catcher, is it the catcher the pitcher relies on to know the count and what is the best ball to throw. I know it sounds all simple and stuff but I wonder if anyone has really looked at that angle of the game.I know it sounds a little confusing but its the mechanics of it I am interested in. Being in Australia I have to rely on the net and what games I get on television this season but I want to kind of dive in to that area little more. So hold on gang just a little longer and the crack of the bat, smell of hot dogs and beer and the seventh inning stretch will be a way of life. On a personal note…..I want to dedicate this seasons blog to a close mate of mine who has passed. 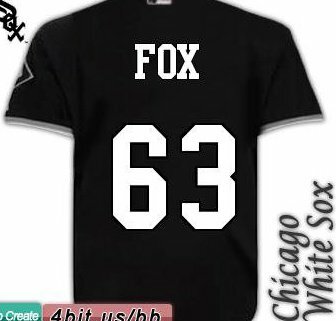 Gary was a die-hard Sox Fan going to the ranch and to games at home in Chicago as often as he could. Gary is no longer with us but is looking down watching the new season unfold.